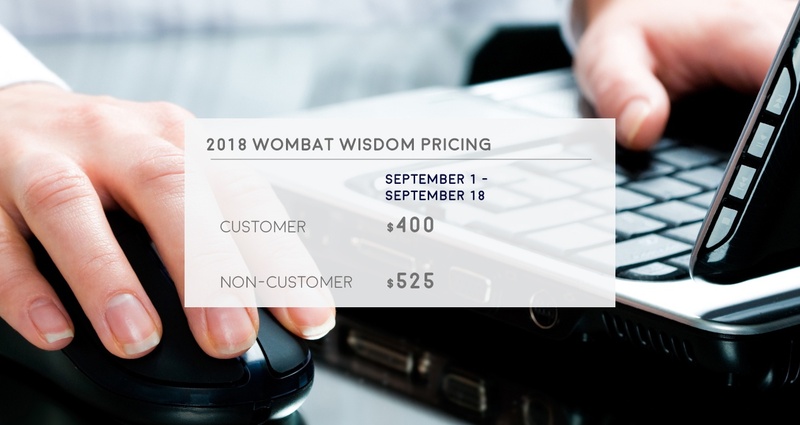 Join us at the Wombat Wisdom Conference on September 18-20, 2018 as we bring together some of the industry's brightest minds to share ideas and actionable concepts around the continuous improvement of security awareness and training programs. You work hard to run an effective security awareness and training program. Ensure you are implementing best practices, while learning additional ways to strengthen your program from industry experts, your peers, and the Wombat team. Check out this year's agenda below.